Boil the potatoes for 6-8 minutes until softening. Drain and leave to cool. Fry the chorizo in a sauté pan until starting to crisp then add the potatoes. Cook until golden, transfer to a bowl and set aside. Sauté the onion and garlic, add the wine and reduce. Add the chilli flakes and stir. Add the tomatoes, cook for fifteen minutes on a gentle heat. 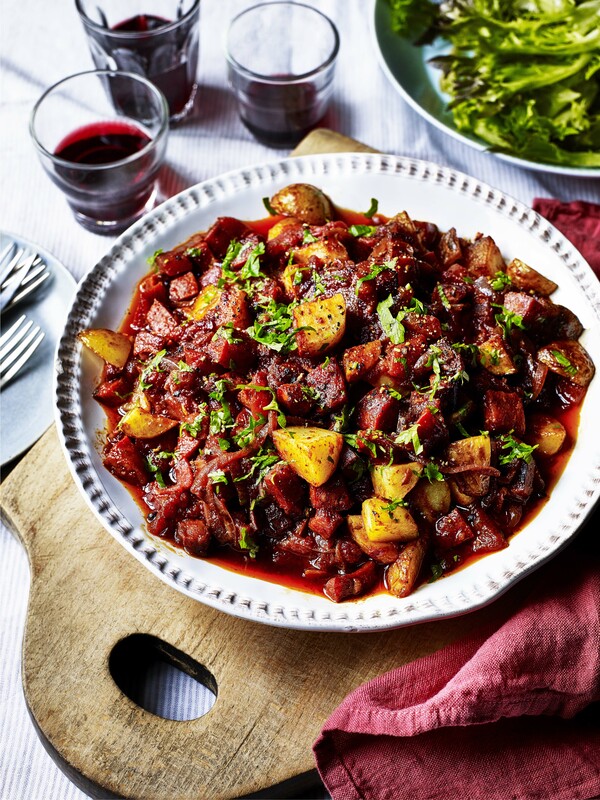 Pour over the potatoes and chorizo and sprinkle with chopped fresh parsley.